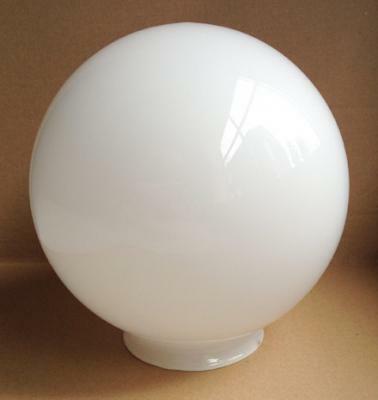 Spare opaque/white glass globe with Ø 200 mm / 7.9' for Dahlhaus Globe-Lanterns. This globe is only suitable for Dahlhaus lighting fixtures. It usually does not fit in globe holders form other manufacturers, for example with bayonet base or threaded coupling. If you want to use this globe as a spare part for non Dahlhaus lighting fixtures, please contact us prior to your order at: Phone +49(0)2333 79063, by E-Mail or with our Contact Form. If this globe is not ordered for Dahlhaus lanterns, there is no right of return.